Registration for the Dirty Dancer Banked Slalom is now live. Register now! Snowboarders, this one’s for you! Get back to your snowboarding roots with the Dirty Dancer Banked Slalom, a throwback to the ’80s where boarders were the outlaws of the wild west, banned from most ski resorts and forced to fight for the right to shred! Well, times have changed and we want you to celebrate by entering this awesome event for all ages. Due to popular demand, we've changed things up this year - it's now a 2 Day Event -1st run will be on Saturday and 2nd run on Sunday. The course will run through the Dancer Gully in Lizard Bowl and is open to all ages (we recommend an intermediate riding level). 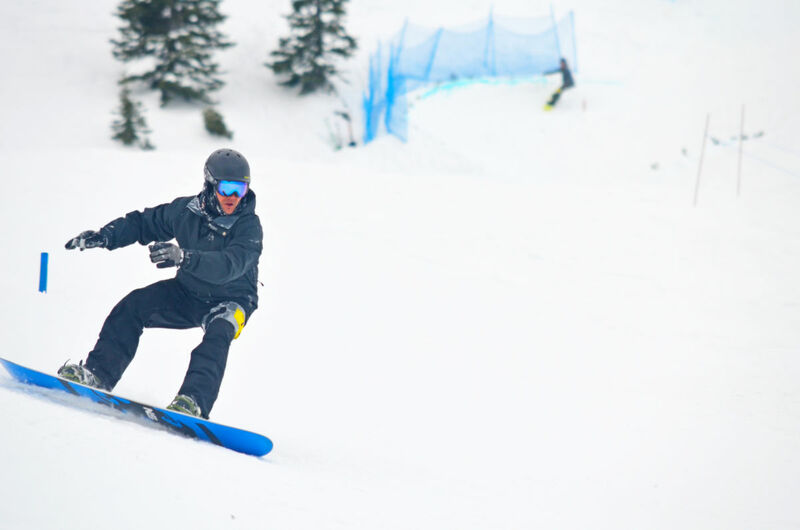 Open category is for intermediate riders looking to have some fun and give banked slalom a try! Please also note that a minimum of four riders is required for every category and if one category is overloaded, we’ll split the category appropriately. Helmets are required. The Bear's Den beer garden will be happening with a BBQ, beverages, tunes.